Vancouver, BC, June 5, 2018—Copperleaf™ CEO, Judi Hess, was awarded Person of the Year by the BC Tech Association at its 2018 Technology Impact Awards (TIAs) on the evening of Friday, June 1st. The Person of the Year award commemorates an individual who has made a significant entrepreneurial contribution to the BC tech ecosystem in the past year. Judi began her career as a software developer at MDA and spent 14 years there before joining Creo Inc. in 1995. She rose to become president in 2002, a position she held until Creo was acquired by Eastman Kodak for just under $1 billion USD in 2005. Judi spent 9 years on the British Columbia Premier’s Technology Council supporting policy development for the tech sector within the province. She is currently a member of the Federal Economic Strategy – Clean Technology Table, and board of directors of Pason Systems Inc. Under Judi’s leadership, Copperleaf’s revenues have grown by 843% over the past five years and the company has become one of the top 20 biggest software companies in BC and one of the fastest-growing software companies in Canada. Judi is a strong proponent of women in business, technology, and leadership. During her time as CEO of Copperleaf, she has increased the percentage of female employees from 10% to almost 30%. A long-time supporter of increasing diversity in the workforce, she was recently featured as one of B.C.’s Most Influential Women in BCBusiness magazine. The 2018 Person of the Year Award is presented in partnership with Korn Ferry. 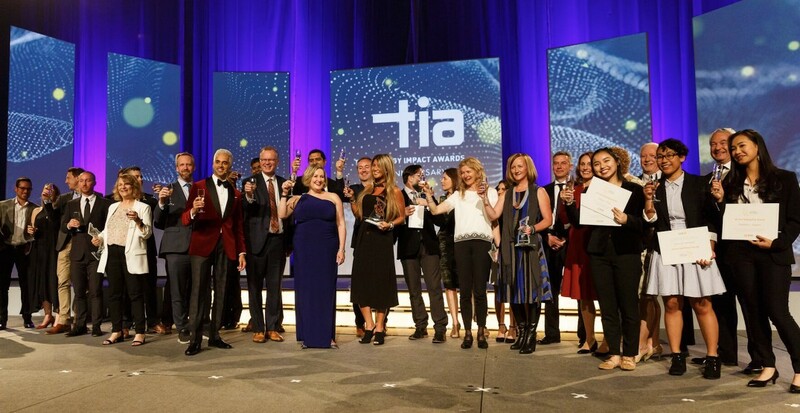 The winners of the 25th annual TIAs were announced at the Technology Impact Awards Gala, held at the Vancouver Convention Centre. Founded in 1994 by the BC Tech Association, the Technology Impact Awards celebrate cutting-edge technology, and the companies, people and innovation that continue to put British Columbia on the map. Every year, submissions are received from companies of all sizes and sectors from across the province. The 25th anniversary will celebrate the legends of the past and the future of tech in B.C. Copperleaf provides decision analytics to companies managing critical infrastructure. Our enterprise software solutions leverage operational and financial data to help our clients make investment decisions that deliver the highest business value. In 2018, Business in Vancouver magazine named Copperleaf one of Canada’s top 20 Fastest-Growing Software Companies. Copperleaf is a member of The Institute of Asset Management (IAM) and actively participates in shaping the future of asset management standards, including ISO 55000. Headquartered in Vancouver, our solutions are distributed and supported by regional staff and partners worldwide. We are committed to building a better world, one decision at a time.